ST Caimin’s of Shannon reached the Munster senior A camogie final for the first time in the school’s history after an emphatic victory over St Mary’s, Charleville. St Caimin’s prevailed in a thrilling encounter in Clarecastle, on the score line of 3-3 to 0-8. St Caimin’s struggled to retain their first-half lead as they faced into a gale in the second half, but held out to win after four minutes of injury time. They started as the stronger of the two teams. With the aid of the wind, St Caimin’s opened the scoring through Clare senior player Chloe Morey, who converted a free with ease. Within 10 minutes St Caimin’s had furthered their lead with two goals scored by Mairéad Hyland and Rachael O’Halloran, both of which were superb individual efforts. However, Charleville responded well, with four consecutive points from Kerry Brosnan and Annette McAuliffe. Rachael O’Brien hit back for Caimin’s with a well-placed ground strike into the corner of the Cork side’s net after a long pass from Sinéad Tuohy. Chloe Morey scored the final point of the half making the score 3-2 to 0-4 at the interval. St Caimin’s faced into the wind in the second half and this was evident from the amount of possession that Charleville were winning. They pushed forward looking for the win but the St Caimin’s backs held strong throughout. Sinéad Hyland produced a great performance particularly in the second half, when Charleville brought their centre-back, Rosemary Rea, up to play in attack in an attempt to steal the win. 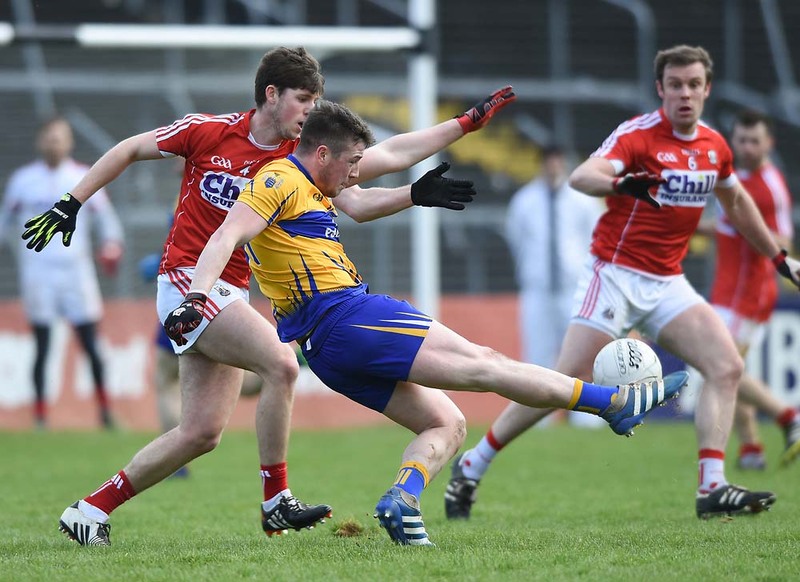 Although Charleville scored four more points through a variety of forwards, the Clare side held the lead. Chloe Morey had the team’s only score in the second half. On the day, great individual performances were given by everyone on the Caimin’s team, by Chloe Morey, Niamh Corry, Rachael O’Brien and Leanne Boyle. Both teams were littered with county stars and this provided an enthralling encounter where it was apparent that the cream of Munster camogie was on display. St Caimin’s will compete in their first ever Munster senior final on January 16. St Caimin’s: Sinead Hyland, Trisha Fawl, Máire McGrath, Caroline Feehily, Leanne Boyle, Chloe Morey (0-3, 3fs), Ciara Whelan, Niamh Corry, Sinéad Costello, Sinéad Tuohy, Laura McMahon, Rachael O’Halloran (1-0), Emily Downes, Mairead Hyland (1-0), Rachael O’Brien (1-0).